There is value in going beyond distant horizons in order to broaden our understanding of the world. St. Augustine said, “The world is a book. He who does not travel reads only a single page.” However, those who go beyond read another page, broaden their cultural vocabulary, become better informed, see the world through new eyes, and grow in their understanding of the worldviews that shape the lives of others. 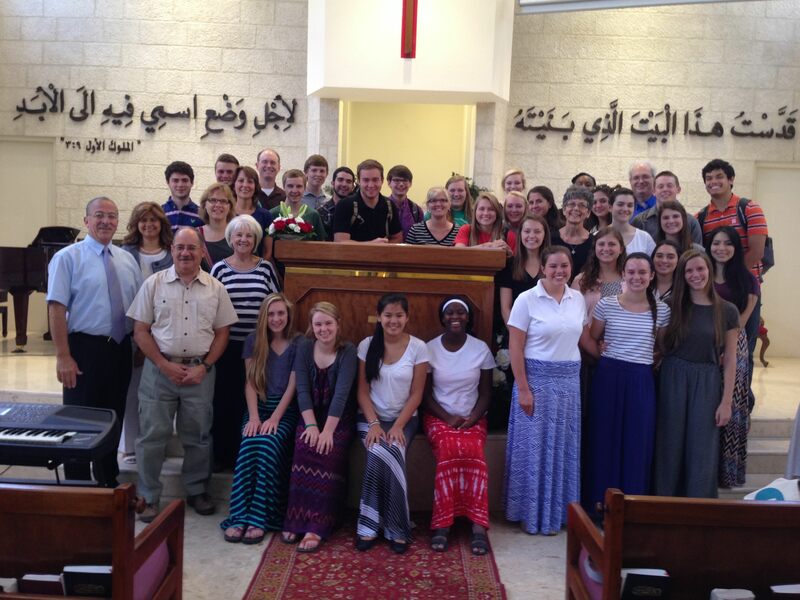 This morning our students broadened their understanding of the world by worshiping at my favorite church in Amman. Our team participated in worship by singing Amazing Grace and listening to beautiful Arabic worship songs. I had the privilege of once again preaching to believers that I now count as dear friends. And our team observed the Lord’s Supper with our Jordanian brothers and sisters — a very meaningful and sweet experience. Following worship, the Muslim sheik who ministers to the Royal Family paid us a visit. I met this dear man on a previous visit to Jordan. He was so kind to meet with our team and to offer both words of encouragement and thanks for the good work that we are doing to help Syrian refugees. He is indeed a man of peace to our partners at Global Hope Network and was so kind to answer questions that our students had about him and his role with the royal family. 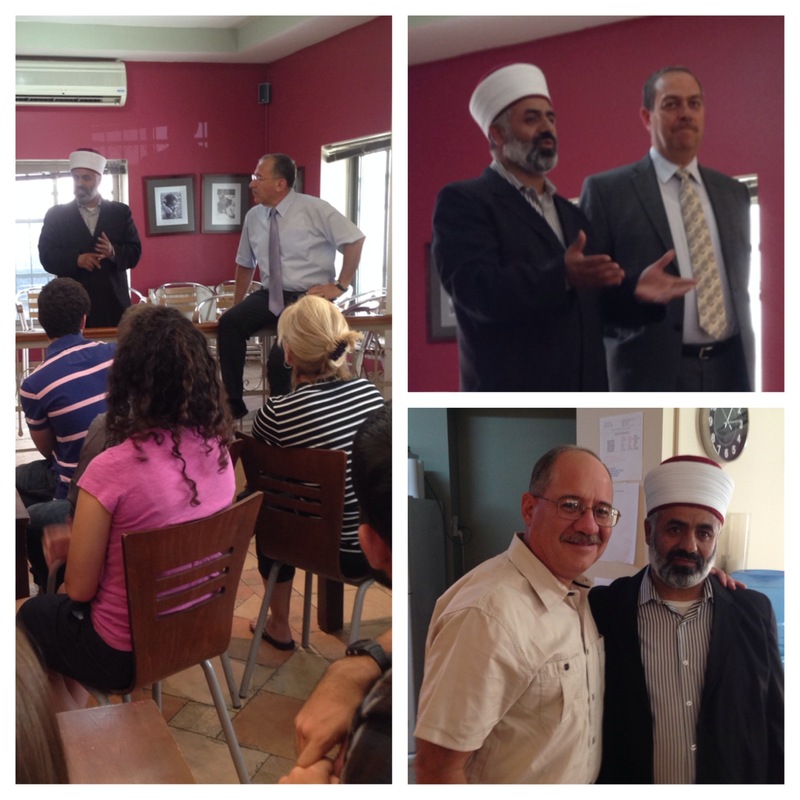 This meeting broadened our students understanding of how Muslims and Christians are cooperating to meet needs in Jordan. 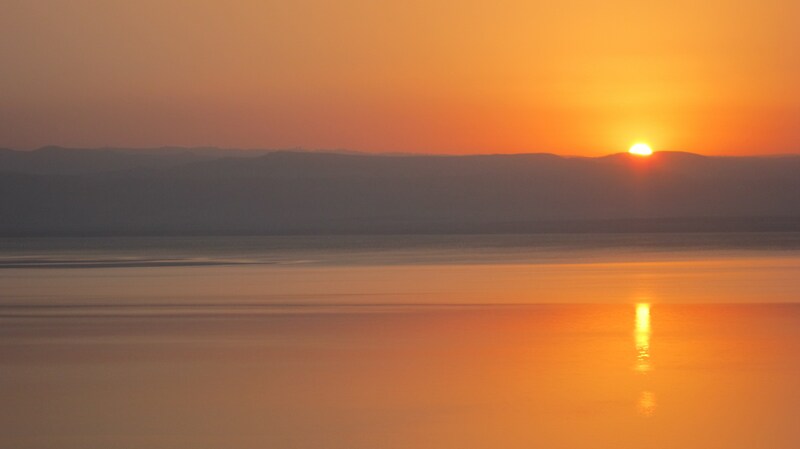 This afternoon we drove half an hour southeast of Amman to the Dead Sea, the lowest point on earth. 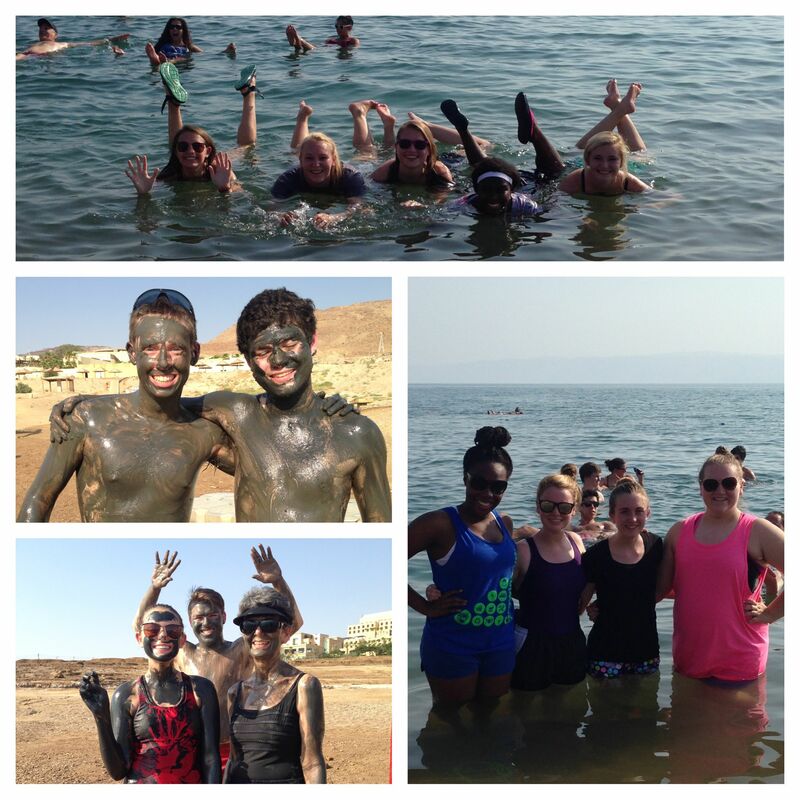 I have visited the Dead Sea before and was excited to introduce our students to this spectacular natural wonder. We had an absolutely fun afternoon. Our students effortlessly bobbed in the water and giggled like my kids did when I bought them their first plastic swimming pool. 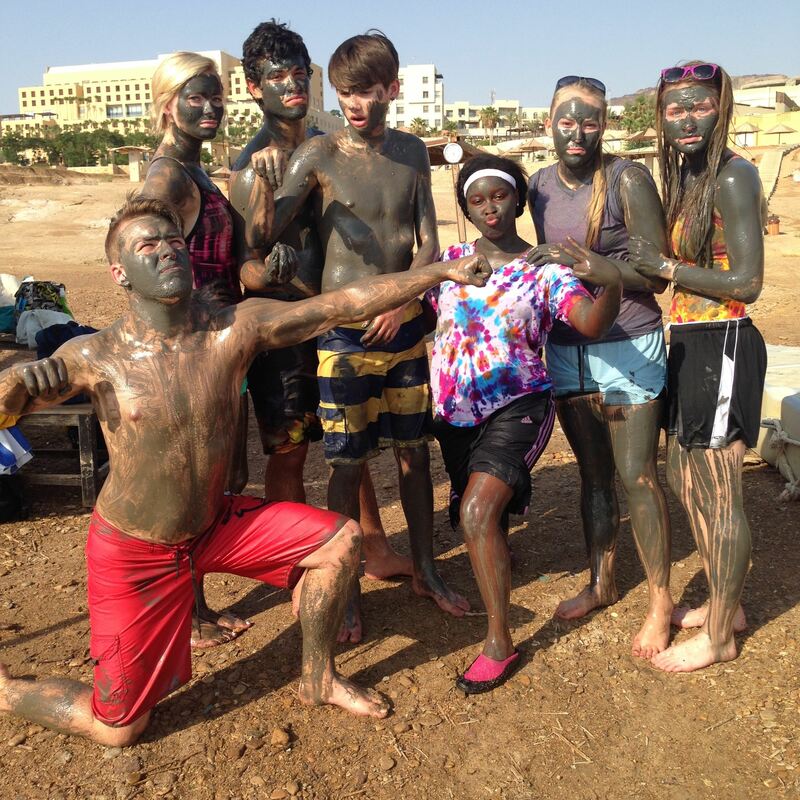 The brave of heart slathered themselves with Dead Sea mud and were convinced they had smoother skin after they had washed off the sticky black exfoliant. At the end of the day we enjoyed a delicious Middle Eastern buffet. As I sat at the table I especially enjoyed listening to the conversations. They were not talking about typical teenage stuff. Instead the conversations were about participating in a prayer walk yesterday morning in Gilead, being with Palestinian orphans last night as they received Operation Christmas Child shoeboxes, what they enjoyed about worship this morning, how nice the sheik was, what has touched them about visiting Syrian refugees, and how cool it was to float in the Dead Sea across the way from Jerusalem. Gretchen, one of the young ladies on our team, said the blessing before we ate at my table. I could hear such gratitude in her voice for the opportunity to be in Jordan and to have so many wonderful experiences. “We will never forget this trip and these experiences,” she said. Her words warmed my heart. Our students have indeed embraced every opportunity to read another page and broaden their understanding of the nations. They will return home a little wiser and much more in tune to the purposes of God in the world and the role that they can play in glorifying Him and growing His kingdom. Bless you, Omar, for leading them so they can have this experience! We’re thankful for Kingsland, too, for sending them out! Thanks, Carla. It is my privilege and honor. I am so glad our church loves God and the nations and encourages students to go beyond. I have enjoyed each blog update this last week, especially talking about “the meaning of a balm”. Thanks for sharing Gods works from your trip. Thanks so much, Terry. I appreciate you following our journey.